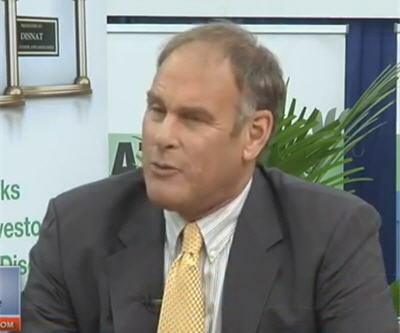 Attention-getter Rick Rule had choice words when asked about Warren Buffett, who said that President Barack Obama is "not anti-business." “There is a strong drift in American politics toward fascism and I think Obama and Buffett are fascists," said Rule in an interview with Cambridge House International in early June. "The idea that a company should not be allowed to fail I think is anathematic to a market. Failure is what is required in a market to purge the market of moral risk. So when you ask me if Obama is anti-business, it depends on how you define business. "If you define business as maintaining brain dead parasitical fascist structures like J.P. Morgan Chase or General Motors then no, he’s certainly not anti-business. But I do think he and Buffett are anti-market. "I'm pro-market. I think the thing that made the United States as great as it was for many years there was a reliance on markets and a sense that it was OK for people to succeed, and it was OK for people to fail too. And it was that interplay that kept the playing field real."